A store that welcomes customers onto its property has a duty to keep them reasonably safe, regardless if they are a large corporate grocery store, a “mom and pop” size establishment, a franchised convenience retailer or a mini-mart in a gas station. An "unreasonable" condition that contributes to a fall can lead to an injury claim against the store. In St. Louis, Schnucks slip and fall situations may occur in any of their popular and growing number of grocery stores. All stores that welcome customers, including Schnucks, are obligated to clean up spills quickly, remove fallen objects, fix broken stairs or railings, replace dimmed light bulbs, and provide adequate security for customers. Slip and fall conditions may also take place outside of a St. Louis Schnucks location. For example, in the wet winter months, many slip-and-fall accidents are caused by rain, snow or ice. While this is a natural occurrence, the property owner is responsible for taking steps to minimize the danger. Failure to do this may be cause for a premises liability lawsuit. If you are injured in a slip-and-fall accident, you may be entitled to compensation in several areas including current and future medical expenses, lost wages, and pain and suffering. Schnucks is not the only supermarket that has the potential for slip and fall injuries. If you're interested in learning if your slip-and-fall in the grocery store is worth suing over, contact our expert team now at 314-241-2500. 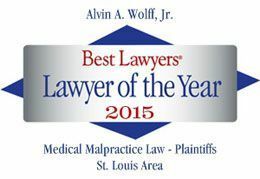 At Wolff & Wolff our St. Louis, Missouri office proudly serves the St. Clair, St. Charles and surrounding communities. We understand that a St. Louis Schnucks slip and fall case may be overwhelming. Insurance companies may try to take advantage of you in an attempt to get you to settle for a reduced amount. Our experienced lawyers will help you navigate the legal maze of a lawsuit and get you a fair and just settlement. We look forward to talking with you!